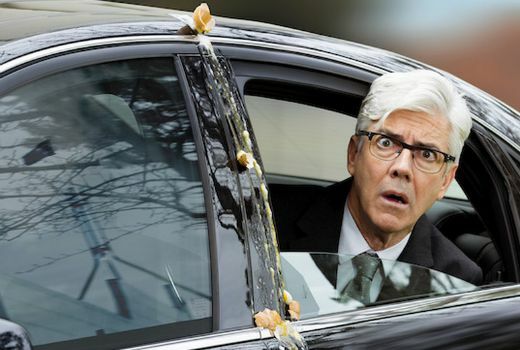 ABC has confirmed the premiere for the anticipated Shaun Micallef comedy, The Ex-PM. It will premiere at 9pm Wednesday October 14. Micallef features as our third longest serving Prime Minister, Andrew Dugdale in this six part comedy. He dined with presidents and kings, hosted world summits and changed the lives of millions of his fellow Australians. After the advance for his memoirs is spent, but writing nothing in return, Dugdale must accept Ellen into his dysfunctional household. There’s his wife Catherine (Nicki Wendt) who loves men – especially her husband’s chief of staff Sonny (Nicholas Bell). Sonny has worked for three Prime Ministers and two Leaders of the Opposition. Sonny knows where the bodies are buried and how to look after the boss’s wife. Dugdale’s daughter Carol (Kate Jenkinson) has moved back home with her son after leaving her cocaine dealing husband. She didn’t see much of her father growing up and isn’t fussed if that doesn’t change now. Under house arrest following a tax ‘mix up’, Dugdale’s manager Henry (John Clarke) is on Skype every day. The only time they actually see each other in person is when Dugdale puts out Henry’s bins to prevent Henry setting off his ankle monitor. Curtis (Francis Greenslade) was an ASIO man assigned to protecting Alexander Downer until a hunting accident which left Curtis with a metal plate in his head. Now he’s Dugdale’s driver who spends most of his time scraping egg off the ex-PM’s car. So begins a comic tango between truth and spin as Ellen and Dugdale take to the dance floor. Each of the six episodes is a self contained story. There’s an international diplomatic posting that depends on the success of a Dugdale dinner party; a long time feud with the Governor General; and the casting of an actor (Lachy Hulme) to play Dugdale in a screen adaptation of the autobiography. Out of favour, out of office and out of coffee. The timing for this could only be better if it was starting this week!